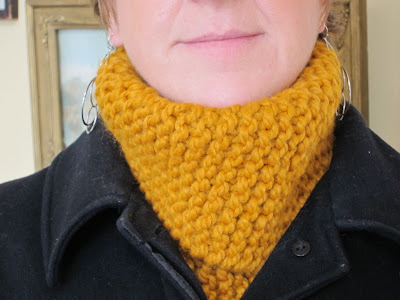 Here's a quick and easy project designed by Susan Chang of Insaknitty. 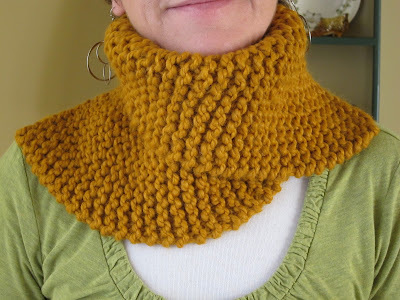 It's called The Wham Bam Thank You Lamb Neckwarmer and Susan shares her pattern for FREE on Ravelry. If you don't already have a Ravelry account, it's very simple to make one. You'll be so glad you did. This has to be the easiest knitting project ever! Using very thick yarn, the pattern calls for garter stitch only. 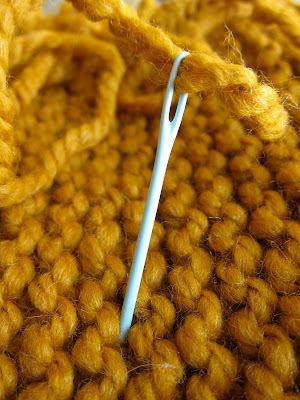 Once a length of eighteen inches is reached you sew the two ends together in a nifty sort of way. This creates a tube that slips right over your head and is offset just a bit to add pizazz. 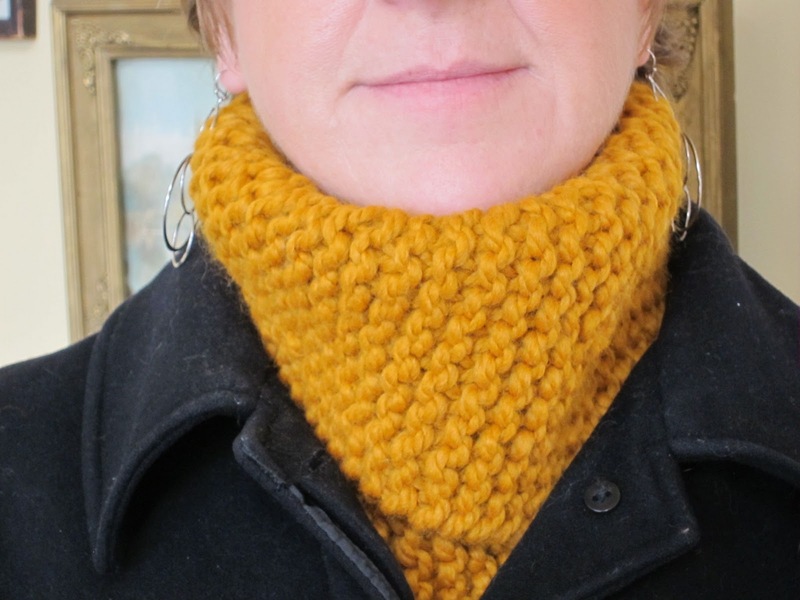 I used Lion Brand Wool-Ease Thick & Quick as suggested, but I'll definitely be experimenting with other yarns as well. 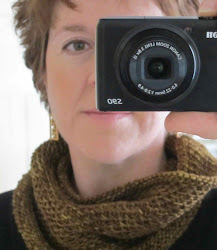 Even very slow knitters (like myself) can whip this up in no time at all. 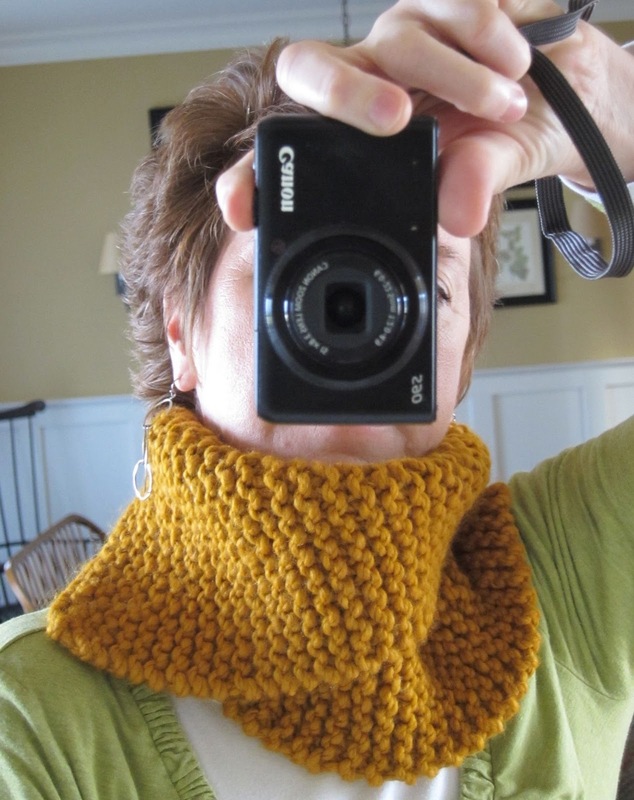 A great beginner project and perfect for last-minute holiday gifts.